In case you did not get the memo, I am in Portugal for the next 12 days. Two nights in Lisbon, and a visit to Fatima for Carol, then 3 days of birding and photography in the Tagus River Estuary, four days in the Alentejo and the steppe county of Castro Verde, and then three days in the Algarve, and back around to Lisbon for one more night. 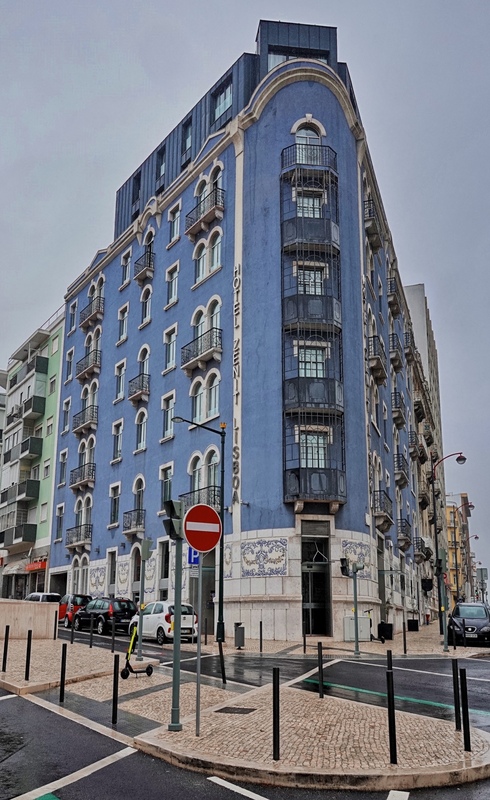 This is our Lisbon Hotel, the Hotel Zenit Lisboa. Note the tile work…Lisbon is famous for its tile and has been for several hundred years. We tried to walk to the old town center, about 20 minutes down hill from the hotel, but it was just misting too hard to be enjoyable, so we did not make it. We are now resting after our 30 hours in airports and airplanes yesterday into today. Sony Rx10iv at 24mm equivalent. In-camera HDR. Processed in Polarr. 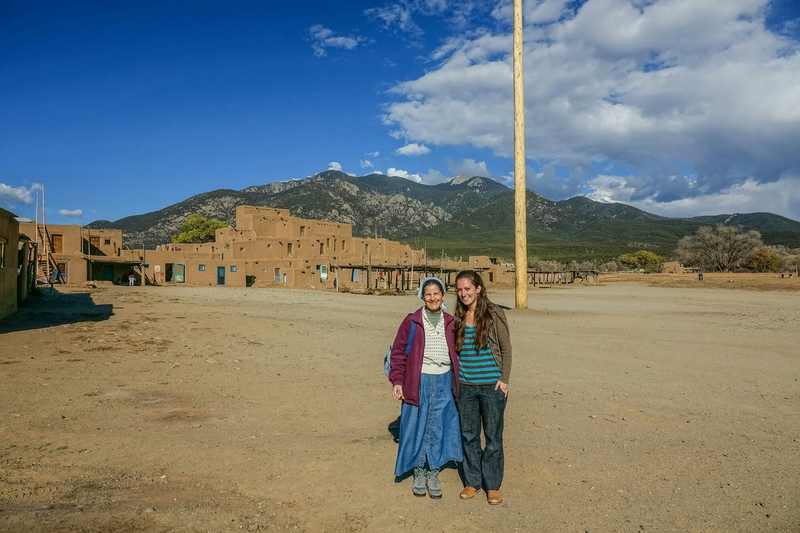 Carol and Anna at Taos Pueblo. Happy Sunday! My wife Carol and I are in Santa Fe, New Mexico visiting our daughter Anna, who is finishing up her masters in Art Therapy / Counseling here. Yesterday we took a drive to Taos and Taos Pueblo, taking the National Scenic Byway called the Taos High Road, which winds up through the foothills of the Sangre de Cristo Mountains, offering a series of memorable views of the upland landscape…as well as passing through some interesting mountain towns. It is off the beaten path in the truest sense of the word, but a certainly a wonderful drive. Then we spent the afternoon at Taos Pueblo. This is Carol and Anna in the main plaza of the Pueblo, where they hold religious ceremonies (fiesta) and dances several times a year…some of them as old as the buildings behind my wife and daughter…going back 1000 years. Unlike most remaining Pueblos, Taos has large communal dwellings that are more like the architecture of the Anasazi ruins in the area, than they are like the more southern Pueblos, which feature more individual family homes. Taos is still a living community. Though only 4 or 5 families still live year round in the Pueblo, every home and apartment is full around the fiesta days and celebrations, and the Pueblo is still the heart of the community, even if members have a home in the one of the newer areas where they have access to electricity and indoor plumbing, not to mention wifi and the internet. As with all the Pueblos, the history of Taos since the Spanish Invasion and the American Conquest is bittersweet to say the least. Taos was the leader in two Revolts, one against the Spanish which actually drove the invaders back down into Mexico for 12 years, and another, this time allied with the Hispanic settlers in the area, against the American forces, which resulted in the death of 150 women and children who had taken shelter in the church, when the Americans turned canons on it and destroyed it. But Taos is still a strong community. Taos was the first tribe to force (or convince) the US Government to return native lands, and now holds over 100,000 areas of sacred land above the Pueblo in the mountains, which includes Blue Lake, the source of Willow Creek that is the heart of the community (Taos means “place of the willows”.) They have a strong sovereign government and have their affairs well in hand. They welcome visitors to the Pueblo and many of the Pueblo homes have been turned into cafés (fry bread and chili) or shops that feature a wide range of Pueblo arts and crafts. It is always a challenge for me, as a descendent of the invaders and conquerors, to visit a living community like Taos. It is a reminder of the pain that has been inflicted by my people in the name of religion and manifest destiny. But it is also a testimony to the best in human nature…to the strength of the spirit that lives in us all…that not only survives but thrives in this world. It is a testimony to the light that lives in us all. It is a testimony that peace, even if tentative and tainted by the past, is possible among us. And I need that reminder this week…after we appear to have elected a old style manifest destiny Conqueror as our president. The last few days have certainly been a challenge to my generosity. I can only hope that our community is strong enough to reign him, and his forces, in for the next 4 years, and that we can emerge, as the community of Taos has, stronger and more alive for the experience. Happy Sunday! Sony RX10iii. In-camera HDR. Processed in Lightroom. 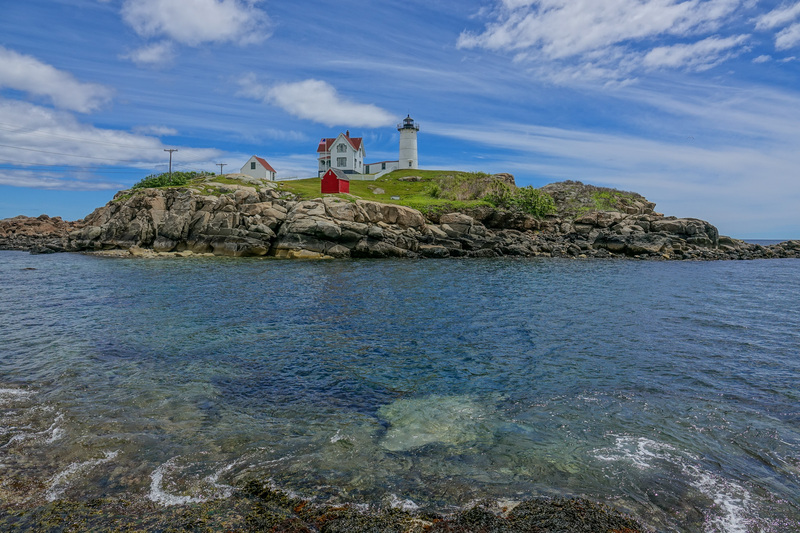 This shot, and others I took last Friday at Nubble Light in Cape Neddick Maine (or York Beach if you prefer), inspired a poem…at least in part about photography. I include it here since it tells at least the first part of the story. of the rocks as though they edged a pond). all recognize a quality image when they see it. And the second part of the story? If you did a count of the number of Christian Churches with Lighthouse in their name, it would, without doubt, amount to thousands…perhaps a hundred thousand or more around the world. It is such an obvious metaphor for the work any church worth its salt (and that is, of course, another reference from the words of Jesus) is supposed to do in this world: to hold up Jesus, the light of world, to turn anyone with eyes to see away from the rocks of this life and bring them safe to shore. But Lighthouse is also a great metaphor for what each of us is supposed to be in this world. If your eye is generous, your whole being is full of light…and that light shines out just as the light of God shines in. Each of us should hold up Jesus in our faces so that those around us know at least that someone cares enough to warn them of the rocks, and stands as a reminder that there is an alternative. Our bodies are lighthouses, or should be. Each one of us who claims the name of Jesus. So, stand up tall on the line between the sea and shore, and shine brightly today, and every day. Happy Sunday! 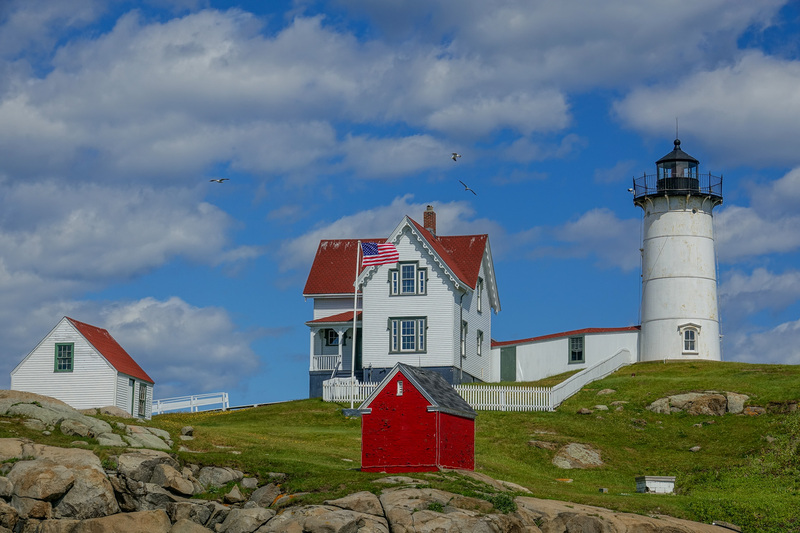 Nubble Light, Cape Neddick Maine. 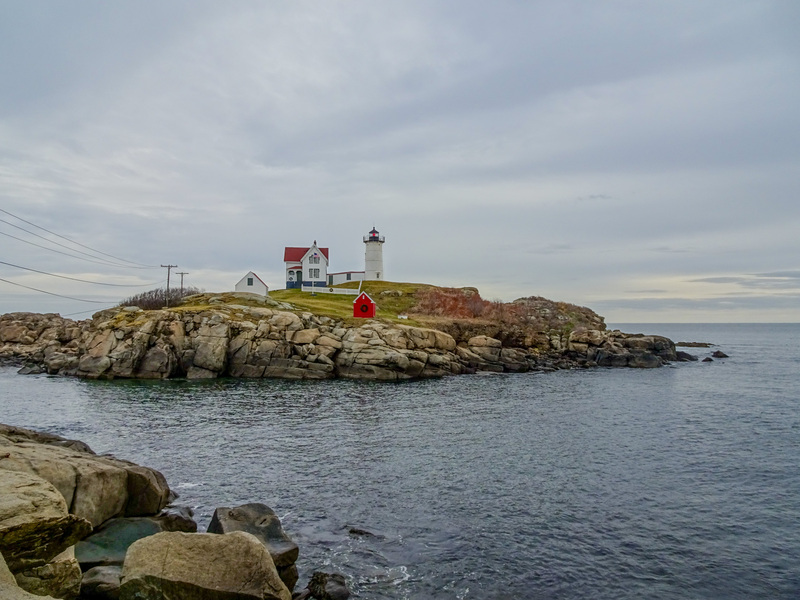 I was coming up the coast from a abortive search for Snowy Owls on the beaches of New Hampshire and could not resist, despite the intermittent cold December rain, swinging out along the coast to see how Nubble Light was doing. They had the Christmas wreath up on the pump-house and a stiff wind was blowing the flag out. The light was dull enough so the beacon was lit and showing as it turned its circuit out to sea. The sea was steel gray reflecting green. Somber, but attractive in its own way. In-camera HDR. Sony HX90V at 24mm equivalent field of view. Nominal exposure: 1/500th @ ISO 80 @ f3.5. Processed in Lightroom. This is another in-camera HDR from the Sony HX400V at 24mm equivalent field of view. After my normal processing in Lightroom, I made a virtual copy and used the Vertical alignment tool to automatically pull the background buildings upright and eliminate the perspective distortion. Worked like a charm with a single click. 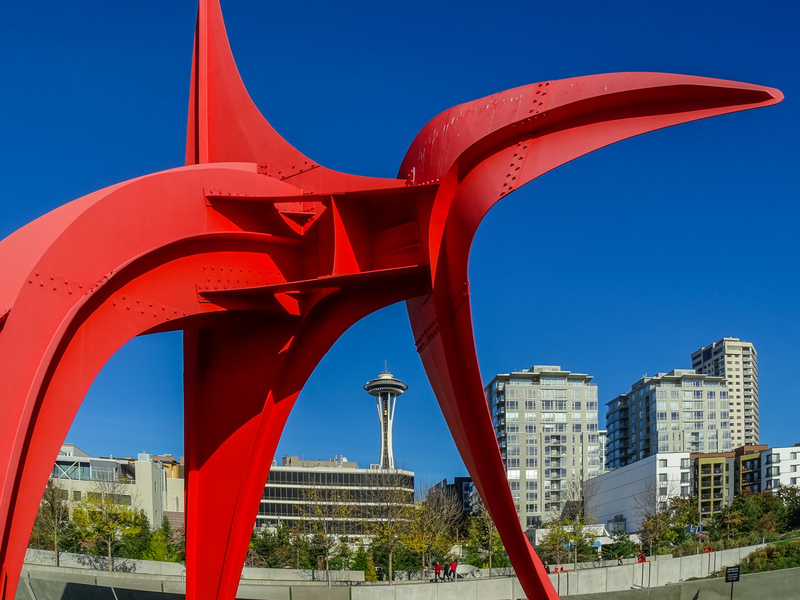 I am in Seattle for a few days, working on a digital imaging project for a client. They put me up at the Mediterranean Inn just up the hill from the Space Needle. 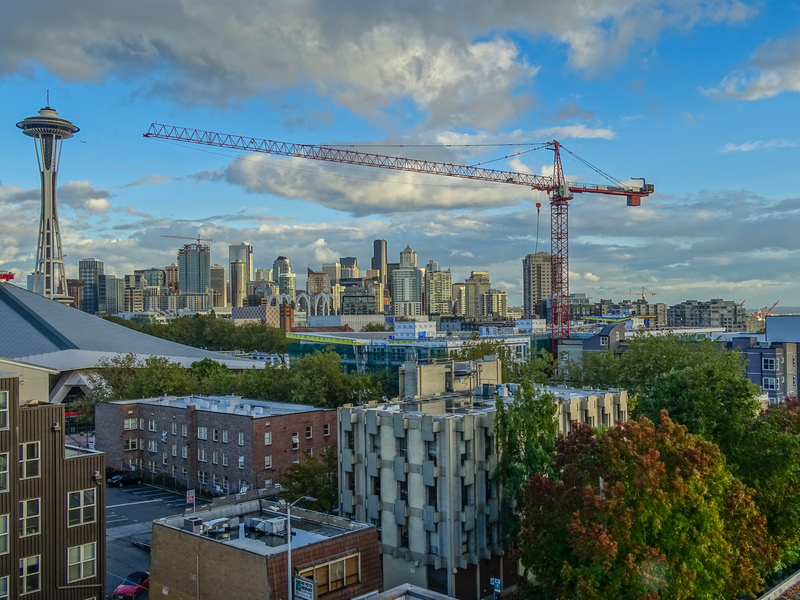 They have a roof garden/observation deck on the roof that offers this classic view of downtown Seattle. It rained all day, until about 4PM, and I got back to the hotel just in time to catch the low afternoon sun across the bay lighting up the city. In-camera HDR with the Sony HX400V. 24mm equivalent. Processed in Lightroom on my Surface Pro 3 tablet. 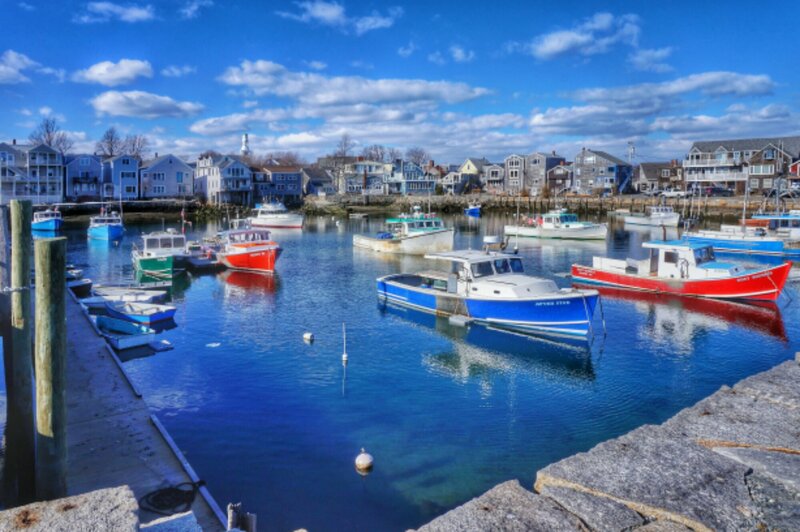 Rockport Massachusetts, on the tip of Cape Anne, north of Gloucester, is such just about your archetypal picturesque New England fishing village: there are postcard views just about where ever you look. This is one of the fishing piers and lobster boat basins just of the main street. It would have been easy to drive right by it, but we were looking for ducks in any likely spot, so we turned in. How could anyone resist taking a photo here? 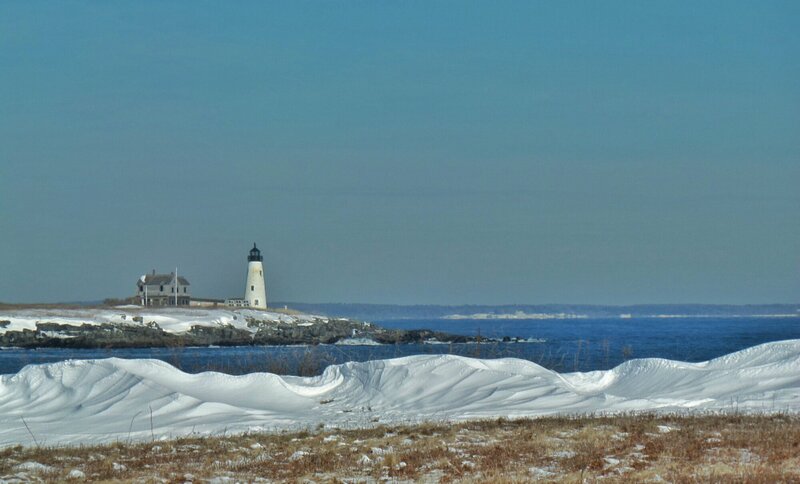 Wood Island Light over Snow Drifts. Happy Sunday! For this shot I used 218mm equivalent field of view on the zoom…medium telephoto…to compress the drift and the lighthouse, while keeping both in focus. The Lighthouse is close to 3/4 of a mile (according to Google Maps) across the Saco River channel. ISO 100 @ 1/1500th @ f5.3. Processed in Snapseed on the Samsung Galaxy Note 10.1 2014. And for the Sunday Thought: On the way back from my trip to office in Virginia, which was sandwiched in between the photo above and my Friday travel day, I was seated on the plane next to a youngish priest, returning to his parish in Augusta from a visit with his brother’s family where his brother is working in Rome. We got talking about what we each did, and when I told him that I work with the birding community, the conversation turned to why people watch birds, and that, of course, lead to my often shared theme of how birds exemplify the creator’s delight in color and form and texture and sound and the vividness of life in general. The young priest agreed that God, in creation, is neither reticent or circumspect, and lamented the fact that more of that sense of outrageous life has not gotten expressed in the church. I pointed out that, at one time, it had…certainly in Italy, where he had just been, and where he studied, in both the visual arts and music. It is in the ornamentation of the cathedral and the music of Vivaldi, certainly. He agreed and wondered where it had gone. What happened to the impulse to share in the creator’s creation by creating beautiful, outrageously vivid works that point the heart to God? When did the church become a social movement, a charitable movement, even, though he shuddered a bit when he said it, a political movement? It is still there of course…that impulse to wild beauty…it has just moved, largely, and sadly, outside the walls of the Catholic Church…though we both agreed that it is always trying to break back in…always coming up between the paving stones, so to speak, and attempting to flourish once more between the walls. I mean, it is part of the God we worship…part of our inheritance as children of God and people of faith. Wild beauty is born in us with Christ. It is not like any amount of officious administration, any amount of what he called “religiosity”, can suppress it for long. And it is not like we do not see it all around us every day, even with our eyes half open. It is here in this image…in the way the wind sculpted the snow. Oh I know there is a physics behind it…but that is like saying there is chemistry behind paint or mechanics behind dance…the artistry of those drifts can not be denighed. Or that’s what I think…and I am bold enough to say that the architect of the Wood Island Light was infected by it, and the principals of the Nature Conservancy as well, when they put aside East Point as a sanctuary to preserve, among other things, this view…a view of the wild, outrageous beauty that God and man has made on the coast of Maine. So, Happy Sunday. There is always hope! Sky City sits on a mesa top 700 feet above the valley. Until the 1930s the only way up there was long climb up foot and hand holes worn into the sandstone. A movie company built a road to film in the pueblo and another film company paved it, so today the tribe shuttles tourists to the top in small buses. My wife and daughter and one other were the only tourists on this rainy last day of the tourist season. I could go on and an on. It was a memorable experience, but I will spare you. The tribe maintains an excellent Web presence. Just google Acoma Sky City and maneuver around the casino pages, or visit the Sky City Facebook page, and you will find a lot of information. This shot is of one of the larger “hidden” kivas. The Spanish tried to whipe out the Acoma religion by blowing up the round underground chambers where it was practiced. 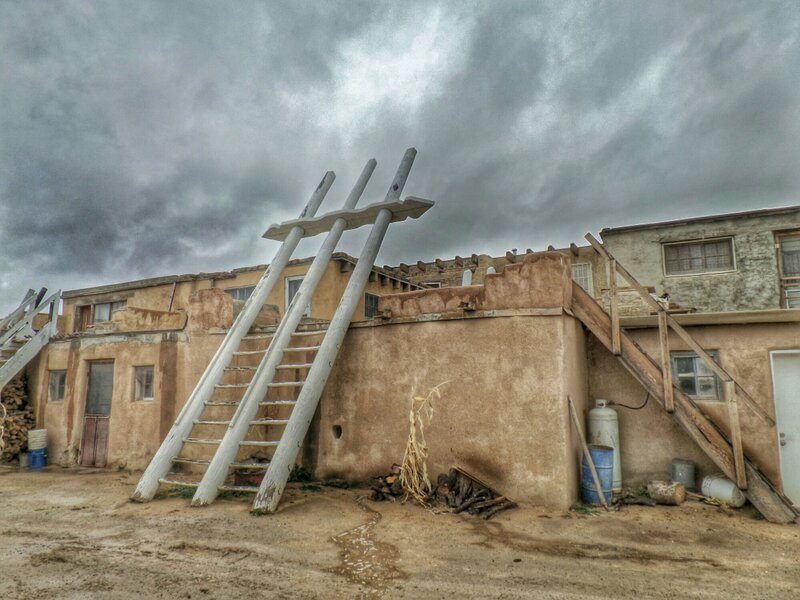 The Acoma retaliated by building new kivas right out in plain sight, disguised as houses. They had to give up the roundness but it was a price they were willing to pay to keep the tribe alive. You can identify the hidden kivas by the unique white ladders with lightning bolts across the top. The ladders symbolize rain. White for clouds and lightening bolts… All the kivas in Acoma Sky City must of been happy places this day. In-camera HDR from the Samsung Smart Camera WB800F. Processed in Snapseed on the Samsung Galaxy Note 10.1 2014 using the new HDR filter.